Sam Pack's Five Star Ford is proud and honored to be recognized by Ford Motor Company for many achievements. The Consumer Satisfaction Awards are given to the top 10% U.S. franchise dealers based on their PowerScore. We are honored that we received the 2017 Consumer Satisfaction award! We have won Ford’s Most Prestigious Award thirteen years in a row. To win this award you must be a President’s Award winner, Premier Club, Top 100 in the Nation in Retail Sales and Top 45 in the Nation in Retail Parts Sales. We were one of only 19 Ford dealers in the country that won this award in 2010. To recognize car sellers that consistently deliver great car-shopping experiences, Edmunds has honored us with the Five Star Dealer Award. This award is presented to car dealers who have earned the highest overall rating for customer satisfaction in Edmunds’ dealer sales ratings. The highest award Ford Motor Company can bestow upon any of its franchised dealers is the President’s Award. No other Sales or Service recognition means more to a Ford Dealer and Sam Pack's Five Star Ford is proud to say we own that distinction. The award is presented for customer and corporate satisfaction and only 15 dealers in any one Ford Region can win which we have won 15 years in a row! BLUE OVAL CERTIFIED is this dealership’s commitment to the highest possible standards for customer satisfaction. We weren’t, “given it,” we earned it. Dealership employees are proud to be essential team members and each contributes their own style to make your visit with us refreshing and satisfying.  Sam Pack's Five Star Ford is a member of Ford Motor Company’s TOP 100 CLUB. These are the top 100 Ford dealers across the Nation out of approximately 4600 dealerships and are ranked for their performance in Sales, Service and Parts. We are extremely proud to be part of this distinctive group of select dealerships. Once a year Time Magazine honors one dealer principal in the United States (out of approximately 26,000 total which includes all makes) for exceptional and exemplary abilities to satisfy their customers, community and franchise partners. This is by far the highest honor available in the auto industry today and was awarded this distinguished recognition in 1988. Since that time, Mr. Pack has continued to operate with the same strict standards for continued growth and customer satisfaction that earned him the recognition then. In 1990, Mr. Pack was recognized by the Metrocrest Chamber of Commerce as their Citizen Of The Year. To acknowledge one individual out of several cities in the Dallas area because of retail, employment and community efforts is certainly a huge honor and Mr. Pack is extremely grateful. For progressive management, sound merchandising practices and high quality standards of service, of Carrollton, TX has won the Distinguished Achievement Award 4 years in a row. These are some of over 100 other corporate awards, recognitions, honors and community service accolades that Five Star Ford has won since Sam Pack has taken charge of the dealership. If you really want to see what all the fuss is about, why not stop in and have a look for yourself? Take a walk around. Talk with some of our knowledgeable sales or service consultants or just have a cup of coffee and observe.